If you want to look your very best, but you aren’t ready for or don’t want a surgical cosmetic procedure, there are other cosmetic treatments available for you. 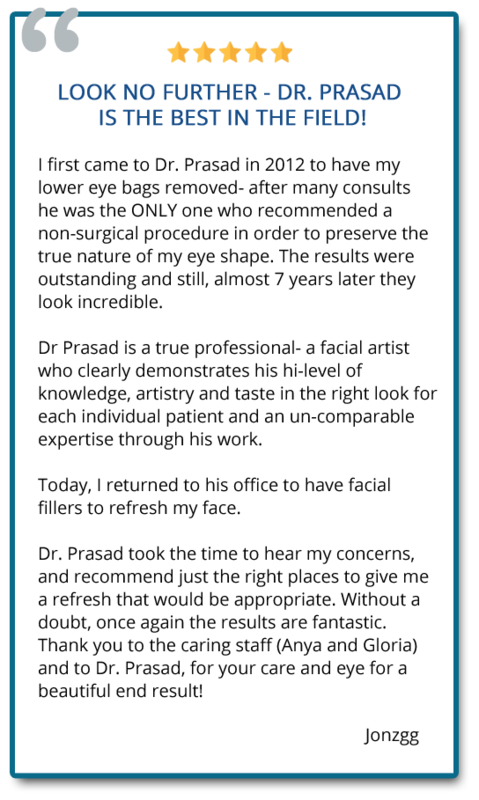 Oculoplastic surgeon Dr. Amiya Prasad offers consultations on safe, effective, and non–surgical alternatives to cosmetic surgery. 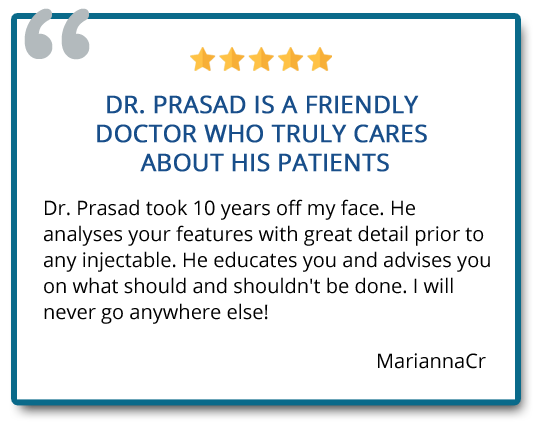 Injectable fillers are most often used for treatment of wrinkles, creases, to add volume to hollow areas, and to limit movement of facial muscles to lessen creases. They are often applied to cheeks, chin, brow, eyelids, the area around the nose and lips. A subtle yet effective filler application can balance and proportion the face, especially in combination with other surgical and non-surgical procedures. Many injectable fillers are made of hyaluronic acid, which occurs naturally in the human body. Hyaluronic acid fillers used for cosmetic enhancement are not derived from animal sources, which limits allergic reactions. Botox/Dysport is a popular injectable used to lessen wrinkles and creases by limiting the movement of specific muscles, normally around the eyes and forehead. Botox is also used to limit movement in muscles around the eyelid and brow to help balance eyelid symmetry as an alternative to eyelid surgery. Most injectables last for about six months to a year, depending on the type of filler, area of application, and the individual patient. 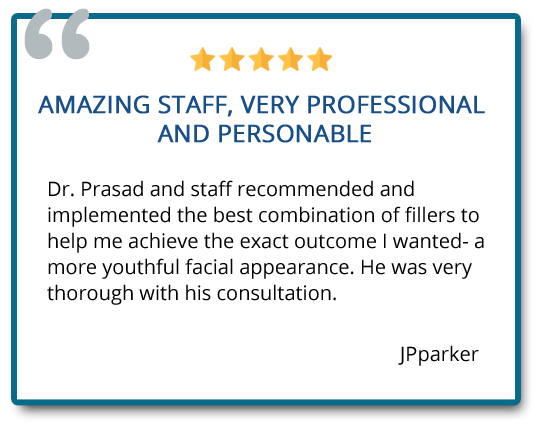 Fillers can be reapplied at any time as an enhancement or touch up. Hyaluronic acid fillers can also be removed through dissolving and safe absorption by using the active enzyme in Hyaluronidase. Some injectables trigger a beneficial response from the body, such as collagen production and increased blood supply, that in turn aids in diminishing and preventing wrinkles, skin quality improvement, skin tightening, skin lifting and healing. Platelet-rich plasma is an injectable derived the from the individual patient’s own blood. Blood is drawn from the patient like in a normal blood test, and the blood is then spun in a centrifuge to concentrate the platelets. Platelets are the blood’s natural healing components. The platelet-rich plasma is then injected into the affected area to improve blood circulation, quicken healing, and stimulate collagen production and blood supply. This results in the improvement of skin quality, health, and luster. Platelet-rich plasma is unique as it is the only filler or non-surgical treatment that can stimulate blood supply and improve circulation. Radiesse is an injectable filler that tightens and lifts the skin by triggering collagen production in the injected area. 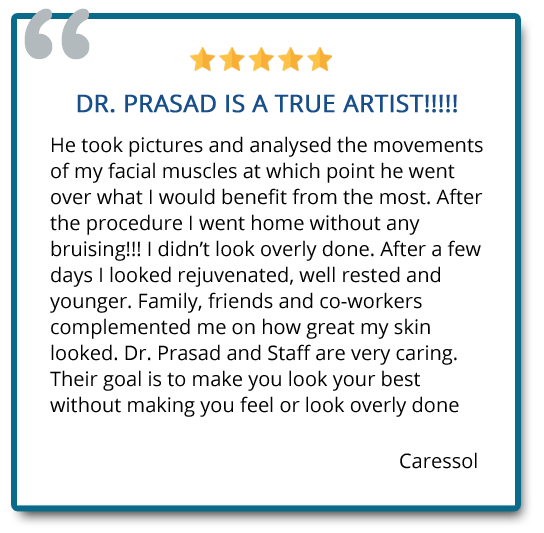 Collagen production is stimulated by a process called collagenesis that is induced by the Radiesse injection. Radiesse lasts longer than other fillers, with an effective time of up to a year. Sculptra is an injectable that also stimulates collagen production, which leads to growth of a person’s own tissue. The benefits of Sculptra include increasing volume and thickness of the skin, which has led it to be described as a “liquid facelift”. The amount of collagen production triggered by Sculptra varies by patient, but it can last as long as two years. Sculptra’s active component, polyactic acid, is biologically inert so there are no risks of allergic reactions.